Bariatric surgery is the surgical method of weight loss. As per Dr Lakshmi, this involves the bypassing of the major portion of the stomach and the intestines. While often confused with liposuction, bariatric surgery is helpful in aiding patients who have developed health complications due to obesity. Bariatric surgery is the surgical method of treating obesity. While most people think patients opt for bariatric surgery to get a flat belly, many do not realise that obesity brings with it a host of health complications which further develop and worsen into the health of the obese person. A body mass index is the metric used to measure a person’s obesity levels. As per Dr K.S. Lakshmi,people with a body mass index (BMI) of above 30 are considered to be overweight, and those with a BMI of over 40 are considered morbidly obese. For patients whose BMI is above 50, they are considered as super obese for whom surgery is the only option. • Hypertension: Hypertension, or high blood pressure, is a tricky complication to develop, as it increases the risk of heart disease and stroke in patients. It is also known to aggravate many other medical conditions. • Heart disease: Obesity can increase the risk of heart disease, particularly cardiovascular diseases. 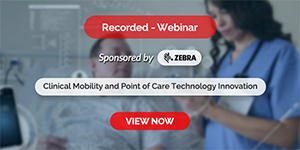 This can lead to fatigue experienced by the patient, causing them to become sedentary, which in turn worsens their obese condition and the heart disease they are facing. Obesity also causes clogged arteries, which hampers effective circulation, and can increase the risks for heart disease. • Sleep apnea: Sleep apnea occurs when your breathing patterns are disturbed during your sleep cycle. When a person experiences sleep apnea, they stop breathing for short intervals during their sleep. This can interfere with the normal bodily process like respiration and circulation. If this condition is unattended to, it can lead to hypertension, stroke, and heart failure. • Depression: The social stigma associated with obesity can have a negative effect on the mental and emotional health of patients. • Fertility issues: Women who are obese are at a higher risk of developing polycystic ovarian syndrome, a gynaecological health complication that increases the chance of infertility among women. Further, PCOS can cause women to gain more weight, which in turn worsens this condition. Why the surgery is needed? Bariatric Surgery is needed for any individual with extreme obesityand inability to lose excess weight. Bariatric surgery is an option for people who have a body mass index (BMI) above 30. Because Morbid Obesity causes health risks and causes lot of other complications like heart attacks, multiple organ failures, diabetes and other diseases. When patients should consider bariatric surgery? Bariatric Surgery is always an option for people with a body mass index between 32-35 who have health problems like type 2 diabetes or heart disease. How the surgery should be performed: that is, which procedure is best for which patient? • Precise evaluation of the patient’s health through various blood and other tests to understand the real condition of the patient and also keep the other specialists available during the surgery in case of any emergency. Also a complete sleep study and psychiatric evaluation is necessary. • It is extremely essential to choose a Hospital which is well equipped, and apart from an expert Bariatric Surgeon, also have best of the pathology division, cardiac specialist, gastroenterologist, anaesthetist and psychologist. What can a patient expect after Bariatric surgery? For the first 24 hours after the bariatric surgery, the post-operative priorities include pain management, leakage, nausea and vomiting, intravenous fluid management, pulmonary hygiene, and ambulation. Patients maintain a low calorie liquid diet for the first few postoperative days that is gradually changed to soft solid food diet within two or three weeks following the bariatric surgery. Later, patients should be monitored for postoperative complications. Hypertension, diabetes, dumping syndrome, gastrointestinal and psychosomatic disorders are among the most important medical conditions discussed in this review. After a bariatric surgery a patient should get pain management, intravenous fluid management, pulmonary hygiene, and ambulation. Soon after the surgery blood pressure and sugar levels starts settling down and the patient will start feeling better. Patients are kept on low calorie liquid diet before getting on the solid food. A significant improvement in the health conditions of the patient can be seen after a fortnight. Patients aretrained to eat small quantities and good quality of foods which includes proteins, pulses, fresh vegetables and fruits and should definitely take vitamins and mineral pills to stay healthy and fit. It is necessary to exercise post the Bariatric surgery to gain the muscle mass. Exercise will help patients to feel happy, get good body and muscles tone and helps maintain positive attitude towards life. Follow up post Bariatric surgery – why is it important? Post Bariatricsurgery a regular follow up withthe doctor is a must. Post-surgery, during first year, monthly check up is necessary, subsequently two check-ups annually. These check-ups are important for nutrition and for regular pathologist’s tests. These check-ups are required to assess the life style of the patient. 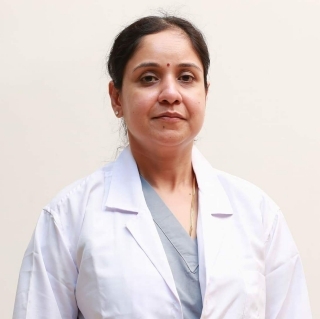 Kona S Lakshmi Kumari has been in the field of Surgical Gastroenterology for about 2 decades and has accumulated immense experience and expertise in Minimal Access, Bariatric and Metabolic Surgical procedures. She completed her MBBS and MS (Gen Surgery) in the years 1992 and 1997 respectively from S.C.B Medical, Cuttack. She has been trained in Bariatric surgery at NUH, Singapore and Cleveland Clinic, Ohio, USA; and also been trained in Minimal Access Bariatric Surgery. Kona S Lakshmi Kumari has performed over 25,000 Minimal Access and more than 1000 Bariatric procedures. She has performed highest numbers in single incision Scar-less Bariatric Surgeries in the state of AP &Telangana. Also Dr Lakshmi has extensive experience of performing standard to complex Laparoscopic Hernia Repairs (Inguinal, Incisional, Ventral Hernias & Redo Hernias), Dr Lakshihas the credit of maximum number in single incision SCARLESS Bariatric Surgery in AP.